This what your Viniyog India - Investment Advisory Blog Ad will look like to visitors! Of course you will want to use keywords and ad targeting to get the most out of your ad campaign! So purchase an ad space today before there all gone! 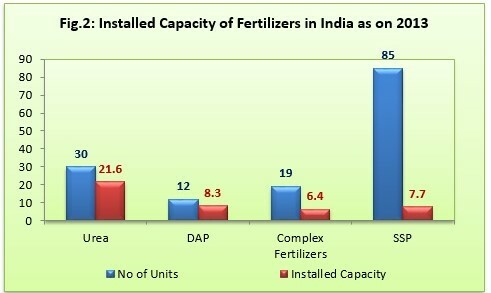 Incorporated in 1985 in Kota (Rajasthan), Chambal Fertilisers Ltd. has the largest installed urea capacity of 3.07 mn ton (1.34 mn ton of urea unit at Gadepan-III recently commissioned in January 2019) in the private sector in India. Company is also into trading of complex fertilisers and pesticides. The company had significant investments in the shipping and software businesses. In fiscal 2016, Chambal had transferred its textile division to Sutlej Textiles and Industries Ltd on slump sale basis. During September 2017, Chambal sold off its all four remaining ships, thus exiting the shipping business also. The Company has three Urea manufacturing plants at Gadepan, District Kota, Rajasthan. The Company also supplies other agri-inputs like Di-ammonium Phosphate (DAP), Muriate of Potash (MOP), Single Super Phosphate (SSP), NPK Fertilisers, Agrochemicals, seeds, sulphur, micro-nutrients, complex fertilisers and city compost. The Company sources the products from reputed domestic and international suppliers. SSP supplies comprised of own production and procurement from domestic suppliers. Company commissioned the third Urea manufacturing unit at Gadepan, Distt. Kota, Rajasthan, PIN-325208 at an approximate cost of USD 900 million on January 2019. The new Urea plant will increase the present Urea production capacity of the Company by about 1.34 million MT per annum. Gadepan III plant has had steady operations since commissioning, operating at average healthy utilisation of above 90%. Government has already allowed supply of urea from this unit. Post expansion, total Urea manufacturing capacity stands at 3.07 million tons per annum. No new urea production capacity came on stream in the country during last 18 years except revamp of few existing plants. 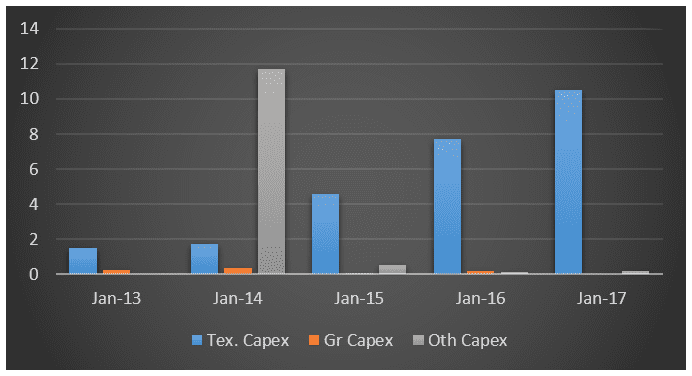 This is the first major capex in Urea in 18 years. India is the second biggest consumer of fertilizer in the world next only to China. According working group report on fertilizer industry for twelfth five-year plan all India demand forecast of fertilizer 2012-13 to 2016-17 are given table. Urea production in the country during the Financial Year 2017-18 was 24.02 million MT against 24.20 million MT during the previous year. India imported 5.97 million MT of Urea during the Financial Year 2017-18 as against 5.48 million MT of Urea imported during the previous year. The Urea sales in the country during the Financial Year 2017-18 were 30.31 million MT against the Urea sales of 29.61 million MT during the previous year – an annual growth of 2.4%. The imported Urea was 19.70% of the total Urea sales in the country and its prices ranged between USD 203 to USD 292 per MT during the financial year 2017-18. The total sales of DAP in the country during the Financial Year 2017-18 were 8.98 million MT as against 8.82 million MT during the previous year registering a growth of around 1.81%. The total production of DAP during the year was around 4.65 million whereas 4.22 million MT of DAP was imported in the country. MOP imports in the country during the Financial Year 2017-18 were 4.74 million MT as against 3.74 million MT during the previous year. India is meeting 80 per cent of its urea requirement through indigenous production but is largely import dependent for its requirements of phosphatic and potassic (P & K) fertilizers either as finished fertilizers or raw materials. Its entire potash requirement, about 90 per cent of phosphatic requirement, and 20 per cent urea requirement is met through imports. Most of the fertilizer companies in general are characterised by slow growth due to stagnant demand. 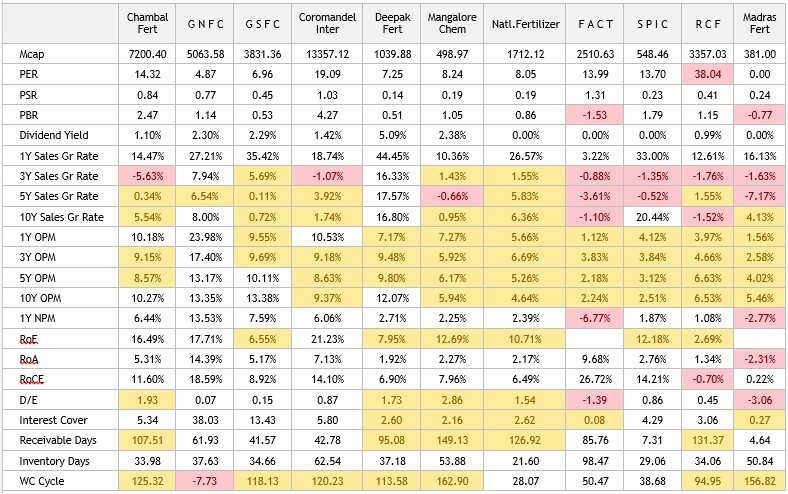 Apart from Chambal Fertilizers, GNFC, Coromandel & Deepak Fertilizers look interesting. The Fertiliser Industry is highly regulated and dependent on the Government policies. The changes in such policies may sometimes adversely affect the Company. The low prices of Urea in the International market coupled with increase in gas prices due to increase in prices of crude oil in international market may affect the Urea production beyond re-assessed capacity of Urea manufacturers in the country. Subsidy is a major component of revenue of the Company. The delay in payment of subsidy by the Government of India creates stress on the working capital and increases the finance cost of the Company. The implementation of DBT for fertiliser subsidy envisages linking of subsidy payment to the actual sales through POS. This has made the subsidy payment process cumbersome and it requires more resources and efforts on the part of fertiliser manufacturers / suppliers. However, it is expected that the DBT process will stabilise after teething troubles and it is not likely to have a material financial impact on the Company. Chambal has a leveraged capital structure and moderate debt protection metrics. The company’s capital structure, is constrained by large working capital borrowings following delay in subsidy disbursement by the government. 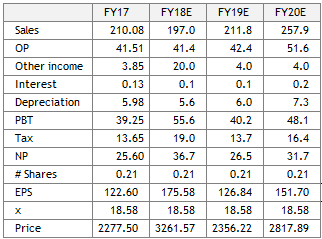 Gearing is expected to remain high in the near term, with Debt/EBITDA estimated at 7-8 times for fiscal 2019, due to commissioning of Gadepan III plant in the last quarter. Nonetheless, higher cash accruals from Gadepan-III unit from fiscal 2020 (being first full year of commissioning), capital structure is expected to improve gradually over the medium term. The variations in demand of DAP and MOP due to change in monsoon patterns, volatility in foreign exchange rates and prices of the products in international markets and interest burden due to delay in payment of subsidy may impact the profitability of the Company. Domestic promoters have been upping the stake continuously, from 57.72% in Dec CY17 to 58.08% in Dec CY18. 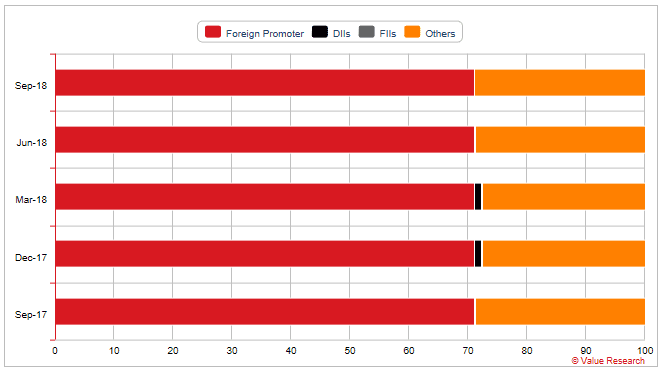 Foreign promoters hold additional 0.64%. Contribution of subsidiaries are negligible after sales of shipping & IT business. Only JV contribute to around 8% of turnover & PNL. IMACID is a joint venture of your Company with Tata Chemicals Limited and OCP, Morocco and each partner is having equal stake in the joint venture. IMACID is engaged in the manufacture of phosphoric acid in Morocco. During the calendar year 2017, IMACID produced 409,160 MT of phosphoric acid against 336,984 MT produced during the calendar year 2016. Sales of phosphoric acid during the calendar year 2017 were 408,013 MT against the previous year sales of 336,341 MT. During the calendar year 2017, IMACID achieved revenue of Moroccan Dirham (MAD) 2279.87 million (Rs. 150851.90 Lakhs) against revenue of MAD 2068.30 million (Rs.140419.38 Lakhs) achieved during the calendar year 2016. The profit after tax of IMACID was MAD 177.98 million (Rs. 11776.21 Lakhs) during the year 2017 as against MAD 12 million (Rs. 814.78 Lakhs) in the calendar year 2016. 10Y cumulative FCF is negative, although same is positive for 5 years cumulative. Chambal Fertilisers is the largest private sector Urea producer in the country. Company has recently conducted first major Urea capex in the country after a gap of 18 long years. Since commissioning, the new unit is already operating at optimum capacity. India being a net importer of Urea, off-take wouldn’t be an issue, consequently, company’s top-line and bottom-line are expected to grow by 31% and 46% in FY20 according to consensus estimates by Reuters. This is expected to result in upward movement of the stock price in the near to medium term. However, Urea manufacturing as a business is plagued with problems which has held back investments for years. It’s a capital intensive business, which is subsidised and heavily regulated by the government. Subsidies are often delayed which results in stretched working capital cycles. Further, margins have shrunk as input costs have risen over the years, but same is not reflected in the realisations. All these limits prospects of the stock as an attractive candidate for long term holding in core portfolio, although medium term prospects look positive. The post Chambal Fertilisers Ltd appeared first on ViniyogIndia.com. Incorporated in July 1926, The Indian Hume Pipe Company Ltd. (IHP) is engaged in providing Engineering, Procurement, Construction and Commissioning services in water supply, irrigation and sewerage related projects. The company is considered a pioneer in the field of water supply industry. Over a period, IHP has evolved from contract manufacturer of pipes to executing pipe laying contracts as well. Majority of IHP’s clients consist of various State and Central Government agencies. Construction and maintenance of projects relating to water supply, irrigation, sanitation and sewerage systems and pipe manufacturing. which provide infrastructure facility and development for drinking water supply projects, irrigation projects, Hydro Electric Projects, Sanitation and Sewerage Systems. Company has also been undertaking infrastructure development programmes by way of executing on turnkey basis the combined water supply projects i.e. undertaking the complete job of water supply from source to distribution centres which apart from manufacturing, laying and jointing of pipelines included construction of intake wells, water sumps, water treatment plants, water pumping stations, installation of pumping machineries, electro-mechanical works, branch mains, ground level reservoirs, elevated reservoirs, leading to executions of complete systems for water supply to various towns and villages of India. IHL also manufactures sleepers for railways. Primarily, various state and central government agencies. Detailed list of customers available at IHPL website. IHPL has 21 factories dotted all over India. Head office is located in Mumbai. *KNR & DBL numbers shown are for the standalone business. Biggest problems for IHPL are stretched WC cycle and cash-flows. It’s amongst the few companies in the industry that has cumulative OCF < PAT. Receivables management and ability to bill customers in time are the biggest issues facing the company. Unbilled revenue as of March 2018 was 737 crores. RoE also is below 15%. 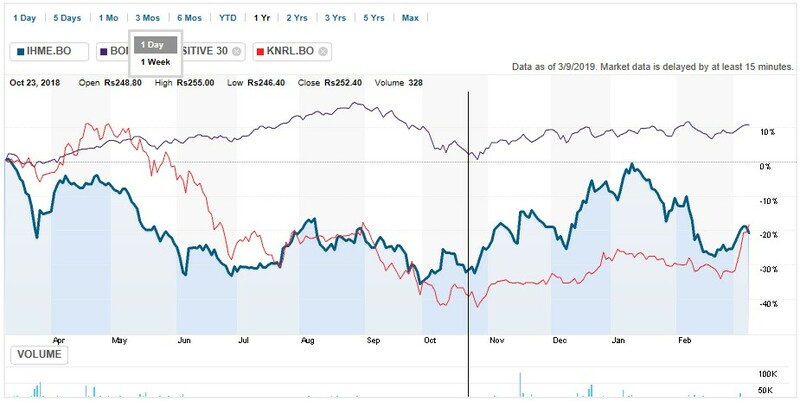 KNR has one of the best financials in the infrastructure space. DBL’s high WC cycle is due to in-house equipment and they are focussing on improving n this parameter by clustering their projects. 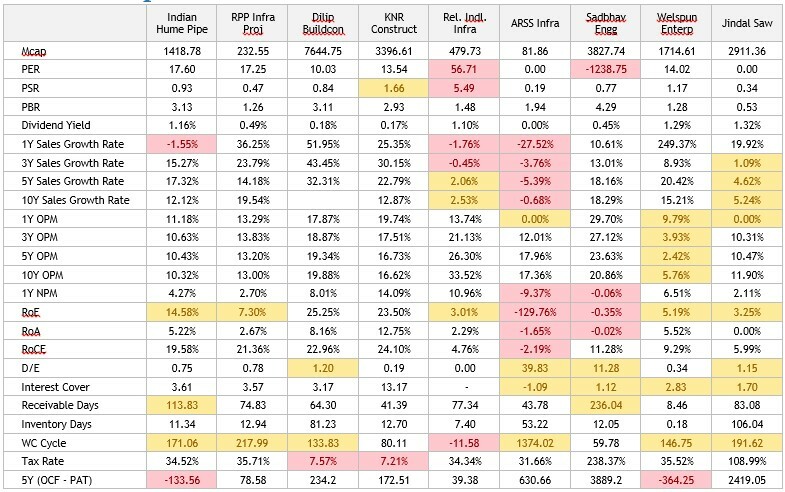 RP Infra also has decent numbers, except for the high WC cycle and low RoE. According to CRISIL:RP Infra had gross current assets of 277 days as on March 31, 2018, because of inventory of 141 days and receivables of 77 days. Also, need to provide earnest money, security deposit, and bank guarantees increases working capital requirement, leading to nearly full utilisation of bank line. Promoters hold 69.56%. No change recently. Managerial remuneration are within the recommended ceilings. Employee feedback is quite positive. Company is nearly 100 years old (founded 1926) & follows old school thoughts – provides free accommodation, conveyance to employees, don’t fire staffs. According to one feedback – company do not lay off staff even if there is no work! 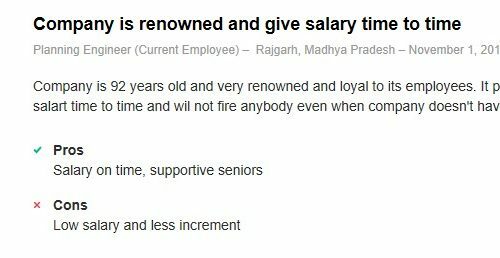 Such companies are rare these days from an employee perspective. Unfortunately, this might not mean well for shareholders. Only complaints are to do with inadequate salary hike and politics. Nothing serious at all! Profits have generally grown a tad faster over longer term with PAT growing at 12-20%+ range. FY18 though, PAT slipped by a third. OCF & FCF – both have been positive over 5 and 10 year periods, cumulative, although cumulative OCF has been less than PAT. Receivable days are generally high, with FY18 seeing receivable days as high as 4 months (112 days). The fact that cumulative OCF is consistently less than PAT suggest problems in cash conversion which is not unusual in companies dealing predominantly with government clients in India. This is an issue. During FY18, PBILDT margins declined by 170 bps to 9.78% as against 11.5% during FY17 on the back of provision of Rs.30.33 crore made by the company against sales tax demand with regards to works contract executed in earlier years in the state of Rajasthan. However, the PBILDT margin has recovered to 11.66% during Q1FY19. Contingent liabilities are 3% which is less than 5% of FY18 PAT – not a significant amount. Tax rates are around 35% – based on both cumulative 5 year, as well as 10 year data. Company doesn’t keep a lot of liquid assets, which ranges between 20-25 crores. Independent Auditor in FY18 was Deloitte Haskins & Sells LLP. Report certified existence of adequate financial controls. There were no qualified opinions or other adverse comments. Rated facilities were around 19 crores with strong rating. Credit ratings have remained stable/ unchanged for past 3 years. IHML has land-banks which are no longer used and company is trying to develop/ monetize them. These land banks are mostly from pre-Independence era, at which time they were being used for storing pipes. With development in road infrastructure these assets have now become redundant and are therefore being considered for development. The development of Company’s land at Hadapsar (Pune), Wadala (Mumbai) and Badarpur (New Delhi) are at initial stages of obtaining development related approvals from the various Authorities. Hadapsar, Pune: Potential development area is around 13 Lakhs Sq. Ft. INHP revenue share is 40%. Badarpur, Delhi: Potential development area is around 10 Lakhs Sq. Ft. INHP revenue share is 48.5%. MOU with Sobha developers. This land needs to be converted from Industrial to Residential for which company needs to spend money. Sobha has indicated that it will take another 1 year to get the approvals. Total size of land parcel is around 2.3M square foot, or 32K cuttahs. At 5L per cuttah, value of the land comes to around 160 crores. Stock is reasonably priced and quoting near its long-term (10Y) averages . The operating cycle increased to 169 days during FY18 as against 116 days during FY17. This is on account of increase in receivable days to 252 days for FY18 from 169 days for FY17 due to high unbilled revenue which substantially increased from Rs. 536 crore as on March, 2017 to Rs. 737 crore as on March, 2018 and Rs. 798 crore as on June 30, 2018. There was an increase in the scope of work for two large projects in Telangana as explained above. This increase in the scope of work also resulted into high creditors’ period which stood at 97 days in FY18 as compared to 65 days in FY17. However, the supplementary agreement has been signed after Q1FY19 and the company has already received an amount of Rs.85.13 crore which has reduced the level of unbilled revenue to that extent. Ability of the company to timely collect receivables as well as monitoring of unbilled revenue would be a key. IHPL mitigates this risk by computing the expected credit loss allowance against trade receivables based on historical credit loss experience and adjusted for forward looking information. The total operating income stood at Rs. 1,574 crore during FY18, a decline of 13% Y-o-Y as against Rs. 1,808 crore during FY17. For Q1FY19, the company reported a revenue of Rs 366 crore as against Rs. 577 crore in Q1FY18. The decline in the revenue during FY18 and Q1FY19 was mainly on account of near completion of two large projects in Telangana. Also, the new orders which were received during quarter one of FY19 were at very nascent stages, resulting in lower contribution to revenue. Additionally, the revenue in FY18 was also impacted on account of implementation of GST during Q2FY18. During FY18, PBILDT margins declined by 170 bps to 9.78% as against 11.5% during FY17 on the back of provision of Rs.30.33 crore made by the company against sales tax demand with regards to works contract executed in earlier years in the state of Rajasthan. However, the PBILDT margin has recovered to 11.66% during Q1FY19. The revenue is expected to improve on the back of clarity on GST related issues and sturdy pick-up in execution of new orders during the second half of FY19. IHPL is a pioneer in pipe infrastructure industry in India. It’s a 93 year old company which appears to operate on the values of employee care which is rare occurrence these days. It also has a solid and fairly predictable business which has survived many ups and downs in the industry. However, the company hasn’t grown fast enough with current market cap still hovering around 1500 crores nearly a century after its inception. Multiple infrastructure companies set up a few decades back have grown faster and become larger than IHPL in a much shorter timeframe. The biggest issue with the company is its stretched working capital cycle which has been continuously hurting the cash-flows. This is a common problem faced sometimes by companies operating in the government sector in India. Despite this, IHPL has been able to generate positive cash-flows and sustain for so long. However, ability to bill customers and collect receivables in a timely manner has been and is likely to remain an issue for the company in near future, until there is a fundamental change in the operating culture of its customers. However, IHPL has hidden assets in the form of land-banks which the company is trying to monetize. While the process is likely to take years to bear fruit, if successful in the next 3-5 years, this could be a positive for the stock. 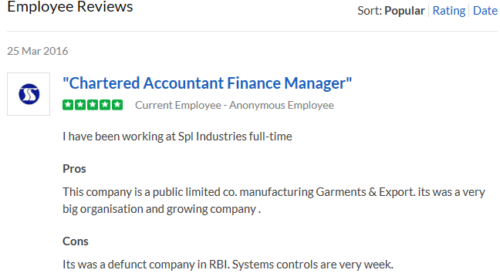 The post Indian Hume Pipe Ltd – Stock Analysis appeared first on ViniyogIndia.com. Incorporated in 1993, Som Distilleries Ltd (SDBL) is involved in brewing, fermentation, bottling, canning and blending of beer and IMFL. It is the flagship company of the Som Group, based in Bhopal, Madhya Pradesh. The company’s shares are listed on BSE and NSE. SDBL has manufacturing facilities located in Bhopal, MP; Hassan, Karnataka & Odisha. On a consolidated basis, the Som Group (SDBL, WDBL and SDOPL) has the capacity to manufacture 15.1 million cases of beer and 3.5 million cases of IMFL per annum. SDBL primary business is manufacturing beer from malt. It also produces Indian Made Foreign Liquor (IMFL). Complete product portfolio is listed below. SDBL has 3 plants located in Bhopal, Karnataka and Odisha, with a total capacity of 15.2m cases of beer + 3.3m cases of IMFL. The Bhopal facility has a manufacturing capacity of 7.6 million cases of beer and 0.6 million cases of IMFL per year as of March 2018. In FY2018, the Company completed the Greenfield expansion to set-up a fully owned subsidiary, Woodpecker Distilleries and Breweries private limited at Hassan, Karnataka. This facility was commissioned in April 2018 and has a manufacturing capacity of 3.4 million cases of beer and 2.7 million cases of IMFL. The commercial production from the Hassan unit commenced in June 2018. The total project cost of Rs. 122 crore was funded by internal accruals of Rs 78 crore, term loans of Rs. 25 crore and interest-free unsecured loans from promoters amounting to Rs. 19 crore. In July 2018, the SOM acquired a beer manufacturing unit in Odisha to cater to the markets of Odisha and West Bengal for a purchase consideration of Rs. 46 crore. The acquired company, now known as Som Distilleries Odisha Private Limited (SDOPL), has a manufacturing capacity of 4.2 million cases per annum of beer and is likely to commence commercial production in Q4 FY2019. SDBL plans to invest additional Rs. 25-30 crores in the Odisha plant for its modernisation and upgradation. The plant would be operational by Q4 FY2019 and contribute meaningfully from FY2020. Company has raised Rs. 100-crore fresh equity (preferential allotment) capital through private placement under the FDI route from Hong Kong-based investors, Karst Peak Asia Master Fund and Vermillion Peak Master Fund, which is being used primarily for the acquisition and upgrade of the Odisha unit. The Company has signed an MOU with White Owl Brewery, India’s foremost craft beer company for the manufacture of all their speciality beers. In October 2017, SOM’s beer brands were approved by FDA for supply to the United States of America. The first trial order has already been dispatched. Total capacity – 15.2m beer + 3.3m IMFL. Numbers represent cases of alochobev. In terms of volume, India is the 3rd largest consumer of alcoholic beverages (alcobev) with states such as Andhra Pradesh, Tamil Nadu, Karnataka and Kerala accounting for over 50% of the total IMFL and beer consumption. The Indian alcoholic beverages market is broadly segmented as Spirits (IMFL and country liquor), beer and wine. IMFL market has been further bifurcated into whisky, rum, brandy, vodka and gin. The beer market is broadly classified based on the alcohol content into strong (6-8%) and lager (4-6%). Despite IMFL having larger market share in value terms, beer has greater share in volume terms and is also the preferred drink among the youngsters. This creates enormous opportunity for the beer manufacturers in the near to medium term as India’s demographic profile is skewed towards younger population. Indian beer industry is primarily dominated by strong beer which accounts for over 85% of the total beer volumes sold in India. The beer consumption in the country is inclined towards the southern states which accounts for more than half of the volumes consumed in India. In volume terms, Indian accounted for a consumption of 3,133 million litres or 402 million cases (9 bottles of 650 ml each) in CY2017, indicating a growth of 4.8% over same period last year. Beer volume is expected to grow at a CY2017-22 CAGR of 4.1% to reach 3,823 million litres or 490 million cases in CY2022. In value terms, beer industry stood at Rs. 562 billion in CY2017, indicating an increase of 7.0% compared to CY2016. Beer volume is projected to grow at CY2017-22 CAGR of 7.4% to reach Rs. 803 billion in CY2022. Higher growth rate of value compared to the volume growth is an indicator of shifting preference towards premium products. Disposable Income: The middle-class population in India has evolved with higher disposable income which coupled with a younger demographic profile is playing a critical role in driving consumer demand. In addition, the growing purchasing power and rising influence of the social media have enabled Indian consumers shift their demand pattern towards more premium and lifestyle products. Various government initiatives undertaken over last few years such as direct benefit transfer and various agricultural reforms is also anticipated to increase purchasing power of rural India and drive consumption further. The Indian middle class is moving to an upper income group with changing lifestyles, luxury preferences and ability to pay more for premium products. Young Population: India’s demographic mix is skewed towards younger generation and with inclusion of over 19 million people to the legal age for drinking every year, it provides a significant opportunity for the alcobev sector in India. Only one in eight women consume beer, compared to one in two in more mature markets. Social Acceptance: Improvement in standard of living coupled with rising awareness has resulted in increased social acceptance of alcohol consumption. Drinking has now become part of social meetings and entertainment. Furthermore, a shift towards pubs and discotheques has also resulted in higher liquor consumption. Consumption of alcoholic drinks has also increased among women which is an encouraging sign for the industry. Family Structure: Indian families are shifting towards more nuclear structure as compared to traditional joint family structure. As a result, the decision makers in houses are younger generation who are more inclined towards affluent lifestyle. Alcohol Availability: Focus on premiumization coupled with entrance of international players in India has resulted in availability of a wide variety of choices for aspirational Indian population. Wider choice will enable to cater to a broader target audience resulting in increased demand for the industry. Bhopal unit has production capacity of 7.6m cases of beer + 0.6m cases of IMFL. Against 2017 consumption of 402m cases, market share is roughly 1.9%. IMFL share is 0.2%. With the recent acquisitions made in Karanataka & Odisha, SDBL has potential to increase market share upto approx.. 3.1% in beer and 1% in IMFL. Estimates assume full capacity utilization by FY22 and consumption projections by Eurominitor above. As of December 2018, promoters hold 20.77% of the company. Promoters’ stake declined in Sep’18 quarter due to equity raise through preferential issue; subsequently promoters have been raising stake through market purchase and conversion. Since January 2019, promoters & directors have acquired 13,30,506 shares (4.3% stake) worth 35.61 crores. Nakul Kam Sethi, Director has acquired 1000 shares for 1,26,293 rupees, at Rs 126.3 per share through market purchase. Promoter group has acquired 12,88,906 shares for 35 crores at average price of 271.5 per share, through conversion. In July 2018, SOM successfully completed a preferential allotment of Rs. 1,00 crores. The key shareholders who participated in the fund raise were Karst Peak Asia Master Fund (Shares: 2.5 million, Value: Rs. 667 million) and Vermilion Peak Master Fund (Shares: 1.2 million, Value: Rs. 333 million).The shares of the company were allotted at a price of Rs.271.55. 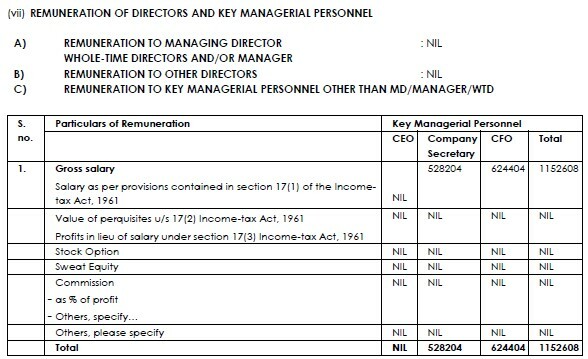 MD, Directors, do not draw any salary. CFO, CS have very modest salaries. 2012. Deputy MD of SDBL arrested and then released by CBI in fake bank draft scam. 2008. Excise raid. MD & Director accused of (not paying excise duty and) fraud by affixing forged holograms causing revenue loss to the government. 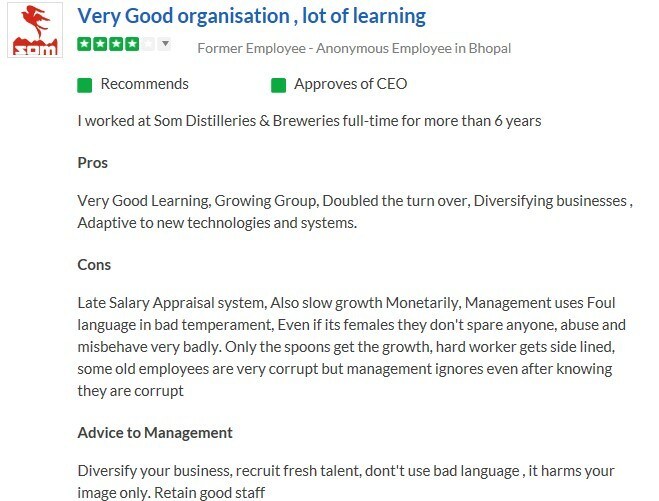 Despite the 4* rating and a positive headline, the detailed feedback contains lot of negatives, including allegations of unprofessionalism and corruption at management level. Some interviews of the MD! While company has around 46 crores debt, cash on book is 24 crores. Not sure why company hasn’t retired debts. Cost components have been fluctuating. Between FY12 and FY16, appears cost grouping may have been changed and then reversed? Applicable tax rate is 34.6%. Company seems to have 25 crores in liquid cash, which is around 8% of company’s assets. Mistry why company hasn’t reduced debt? Cash + Investments as a percentage of Total Assets is quite significant. Below comment from independent auditor points to the lack of formalisation of controls, need for better documentation, SoD and generally more professionalism at operational level. 5.15 crores outstanding due to various disputes. SDBL has a history of tax related litigations. Fortunately, FY15 onwards there are no new/outstanding cases. Total contingent liabilities are around 64 crores, which is 250%+ of FY18 PAT and 7.15% of Sales. In addition to disputes detailed above, this includes 58 crores in guarantees to banks. This bank guarantees have been in the balance sheet for a while. Unfortunately the receiving company is referred merely as “another company” and no further details are provided. Guaranteed amount is around 2.5x last year PAT, therefore, significant. No significant contributions in the past in FY18. Woodpecker started commercial production from June 2018, so contributions are not reflected in the past results. SDBL is currently trading below historical valuations. Although, on absolute basis, stock isn’t very cheap. Over the past 3 quarters, SDBL has shown flattish to negative top-line growth. Competitors like Associated Alcohols have seen more steady performance during the same period. Just a theoretical back of the envelop exercise below, to gauge the possibilities. Assumed KN capacity to start contributing from FY20 and achieve full utilization in 3-4 years. Only the sales growth has been factored. Other parameters such as depreciation, finance cost, etc. hasn’t been fine-tuned. Assumed that IMFL case will be 5.2x more expensive than beer. High capital expenditure in FY2018 and FY2019 might impact returns during initial phase of operations – SDBL has incurred high capital expenditure during FY2018 and FY2019, which might impact its profitability and return indicators during initial phase of operation. It has incurred ~Rs. 122 crore in establishing WDBL and ~Rs. 75 crore for SDOPL. This apart, SDBL has proposed capital expenditure at the existing Bhopal manufacturing unit to increase its capacity. If the projected sales turnover is not achieved by the company, the profit margins and return indicators might decline in FY2019. The company generates most of its revenues from Madhya Pradesh, Chhattisgarh and Delhi in the past. It is exposed to risk of any adverse policy changes in the state. However, the Group has diversified its business in the other states such as Karnataka and Odisha to expand its geographical presence expected to reduce the dependence on few markets. The liquor industry is highly regulated with the state government controlling the selling and distribution, which make the company susceptible to the changes in the government’s policies. Any change in government policies with respect to production, distribution of liquor, taxation, and state excise duty or any material changes in the duty structure may impact the liquor industry and the company. Direct advertising of alcoholic products is restricted in India. As a result, the companies have to restrict promotion activity to point of sale or surrogate advertising (like glasses, mineral water, music items having identical brand names). This not only increases the cost but also adversely impacts the capability and time for new brand building. In India, every state has its set of regulations which govern the value chain of industry players including manufacturing, retailing, pricing and levies thereby, hindering the economies of scale. Furthermore, regulations pertaining to licensing, setting up or expansion of new facilities, existing brewing or distilling and bottling capacities, manufacturing processes, marketing, sales & advertising and distribution poses additional challenge for the industry. Alcohol is sold through a meagre 86,000 outlets, which is extremely low when compared to the rest of the world. One of the reasons for a low per capita consumption of liquor in India is the low affordability levels, which is a direct fallout of high taxation. In many states, where the government is also the biggest distributor, it fixes the prices at which it buys products from the alcoholic beverage companies and the prices at which they will sell to the end consumers. The state governments decide the end consumer price, leaving manufactures with no say in determining their selling price. On the other hand, the recent increases in duties and taxes has led to increase in the end consumer price which has adversely impacted the purchasing power. Furthermore, the regulatory barriers also pose challenges for offsetting cost inflation. Companies in the sector has to represent their case to state governments to get price increase, which is a time-consuming process. Some of the states have banned alcohol with the objective of improving public health and responsibility. In past, such bans have not been very successful and even the social objective is also defeated as it gives rise to illegal trading of liquor in states where it is banned. Such bans impact the volume in short term but in medium to long term the decline in volume is compensated by higher volumes in the neighbouring states. The alcohol industry has been kept outside the purview of GST. However, the industry would be liable to pay GST on the input raw materials, which may impact the gross margins. Taxation by volume continues to adversely impact the beer segment. The tax structure for alcoholic drinks does not adjust for the level of alcohol in a particular drink. Considering the ratio of excise duty adjusted to alcohol content, IMFL appears to be more affordable than beer because it has a higher alcohol/price ratio. This makes beer an expensive drink compared with other spirits in terms of price per unit of alcohol. The excise and other taxes put together comprise over 50% of the final retail price. There is a complex multi-layer taxation structure and this makes the alcohol industry less affordable and also restricts the pricing power. Every state government has its own rules and regulations in addition to the regulations by central government. As a result, tax and duties are imposed on inter-state movement of alcohol which restricts consolidated operation and resulting synergy benefits. The beer and IMFL industry can be adversely impacted due to volatility in key input raw material prices. Since the pricing power is limited, companies would not be able to fully pass on the higher costs to consumers. Over last few years many international companies have entered the Indian market due to the immense potential prevailing in the country. These players could impact volumes primarily in the metros as their products are well known among affluent or lifestyle seeking consumers. Furthermore, increasing trend of craft beer among urban population also increases the competition as beers can be manufactured with very limited investment in a smaller size brewery as compared to significant investment required in traditional breweries. The alcoholic beverage space has huge prospects in India due to low penetration, positive demographics and changing lifestyles. This has drawn significant investor interest over the last one year, with marquee investors storming into the space and raising sizable stake in undervalued stocks. SDBL has seen interests from Porinju Veliyath of Equity Intelligence; also, Dolly Khanna’s mopped up more than 1% stake as of Q3FY19. SDBL has been growing fast and expanding its facilities quickly to tap into this opportunity. However, concerns on corporate governance & integrity of promoters; lack of adequate formalization of internal processes and controls, has potential to de-rail this story. 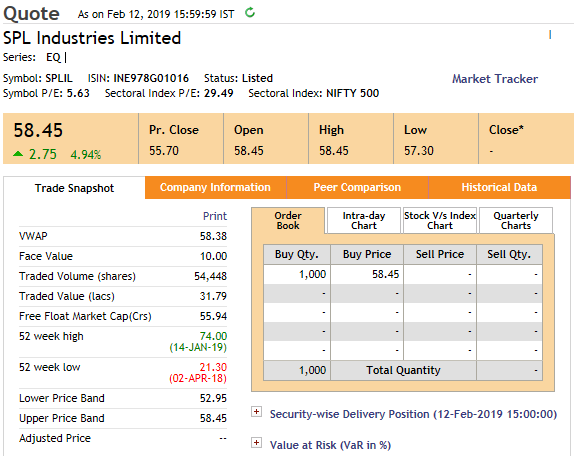 While this stock also has potential give decent returns over long term, investors should be mindful of the risks involved, track them closely and take corrective actions, in case risks turn into issues. 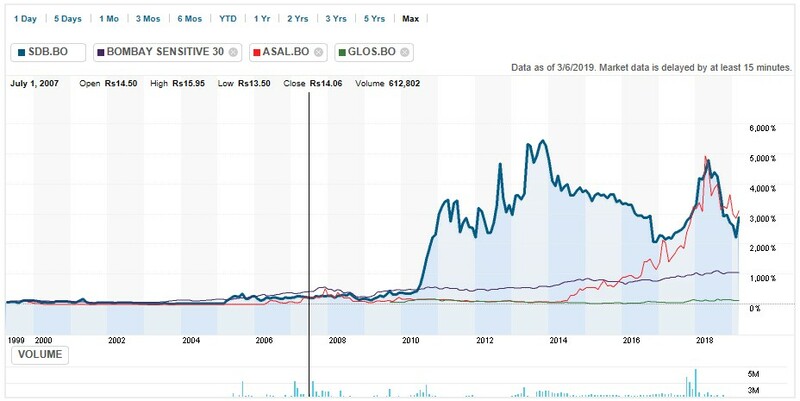 The post Som Distilleries Ltd – Stock Analysis appeared first on ViniyogIndia.com. In August 2018 garment exporter SPL Industries' stock jumped by 100% in just 2 weeks. This article offers a stock analysis of the company. The post SPL Industries Ltd. – Stock Analysis appeared first on ViniyogIndia.com. In September 2017, SPL Industries, a garment manufacturer and exporter, exited manufacturing business, rented out its facilities to group entity that was already into manufacturing, and moved entirely into trading & export of garments. From the following quarter Q3FY18 onwards, its operating margins jumped and stayed above 17.5% from around 4-5% earlier. Subsequently, between Q4FY18 and Q2FY19, promoters quietly increased their stake by almost 1.5%. Market did not notice it for almost a year. Then in August 2018, the stock suddenly jumped by over 100% in two weeks. In a year when small-caps have been butchered by 50% or so, SPIL has returned around 120%. This prompted us to take a closer look at the story. SPL Industries Ltd was originally incorporated as Shivalik Prints Private Limited on December 6, 1991 in New Delhi. The name of the Company was subsequently changed to SPL Industries Ltd in 1994. Later in 1998, a company with the name Shivalik Prints Limited, was incorporated on August 1998. Shivalik Prints is managed by relatives of SPL directors and the company is invested in SPL (0.52%) as of end FY18. SPL is promoted by Mr. Vijay Jindal who has more than 2 decade of experience in the apparel industry. Further, the chairman and managing director of the company Mr. Mukesh Aggarwal; has been associated with the company since its inception has approximately 22 years of expertise in this field. The company is engaged in trading of garments and job work (stitching and dying) for Shivalik Prints Limited. In FY18, SPL has enhanced its job work capacity from 7200 MTPA to 9000 MTPA in order to meet higher demand in future from Shivalik Prints which has resulted in higher operating income from it with Rs. 56.28 cr being generated in FY18 as compared to Rs. 37.27 cr in FY17. The cost of the project was ~Rs. 4 cr. Till Aug’17, the company was primarily engaged in the manufacturing of garments; however, due to the changing customer requirement and comply with the environment regulations, the company was required to incur capital expenditure of ~Rs. 10-15 cr. At the same time, the other group company, namely, Shivalik Prints Limited was engaged in manufacturing of garments with latest machinery and had its manufacturing facilities near to SPL. Therefore, considering the synergies between the two companies, SPL decided to discontinue the manufacturing segment and start with the procurement of the readymade garments from Shivalik. SPL has given its existing manufacturing facilities on rent to Shivalik at monthly rental of Rs. 0.10 cr. Now, the company procures the garments from Shivalik Prints Limited and sells it to its customers. SPL exports its products to various international retail chains and super stores, predominantly in USA, Europe, Canada and Japan. The majority of sales are driven by few clients with top 7 clients constituting over 51% of the total net sales in FY18 indicating high client concentration risk. The top 2 client viz. Shinsegae International and The Children Place “TCP” constituted ~35% of the total net sales in FY18 (~29% in FY17). SPL has a total production capacity of 9000 Metric Tonne (M.T.) per annum. The company has 2 manufacturing facilities situated in Faridabad, Haryana and has a total production capacity of 60 lakh pieces per annum. From Sep’17, the company has stopped manufacturing and has moved into trading of garments. As can be observed from the table above, biggest challenge facing the industry is flattish sales. Sales growth has been muted for the past 3-5 years across the industry and all companies have been impacted. Except for Arvind Ltd., no other company clocked double digit top-line growth consistently. 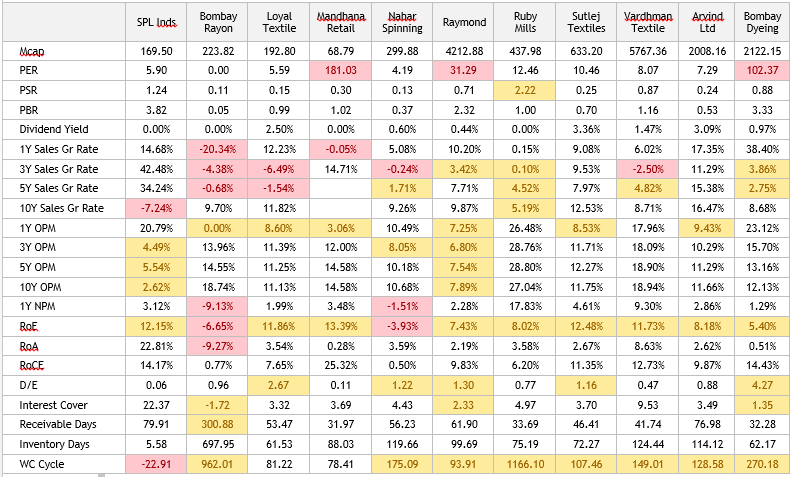 In terms of margins, Ruby Mills has by far the best margins, followed by Vardhman. With the exception of SPL & Raymond, majority of the companies have been consistently clocking double digit margins. SPL has a negative 10Y growth, and historically one of the worst margins. Between FY09 to FY13, SPL consistently made losses, with frequent write-offs in the P&L. In 2013, SPL became a part of SPL group. Post the takeover by SPL group; the management commenced the process of company’s revival and did a capital expenditure of around Rs. 12 cr over two years to increase the installed capacity of garmenting division to 60 lakh pcs per annum in FY17 as against 2.5 lakh pcs per annum in FY15. Further, with increase in installed capacity, the utilization levels have also increased from 89% in FY16 to 99% in FY17 indicating improved operating performance. From Sep’17, the company stopped manufacturing, rented out its manufacturing facilities to group company Shiwalik Prints Ltd and moved into trading of garments. Consequently, inventory days improved to below 6. 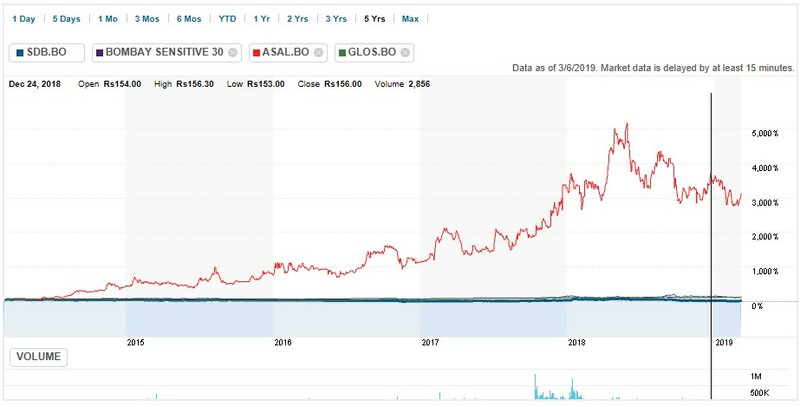 If SPLIL is able to maintain strong top-line growth momentum, then the growth combined with significant improvement in OPM and low valuation will make an interesting combination. Shiwalik Prints isn’t a related entity of SPLIL, hence company isn’t obliged to disclose its numbers. Concern is, is the improvement is OPM due to synergies, or is it due to shifting the issues to a different separate black box entity? 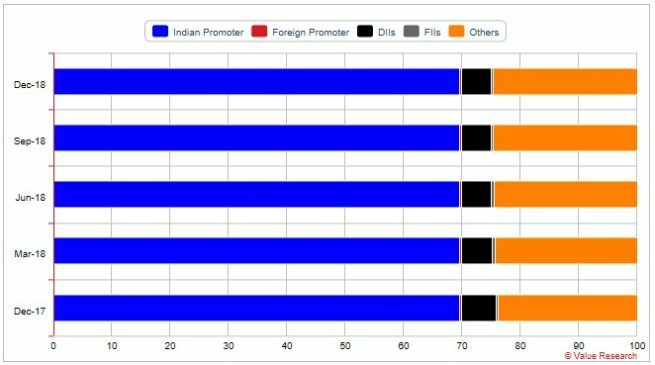 Indian promoters hold 68.73% as of December 2018, up from 67.24% a year back. Promoters added 1.49% shares in past one year. As of FY15, promoters held 67.24% shares. 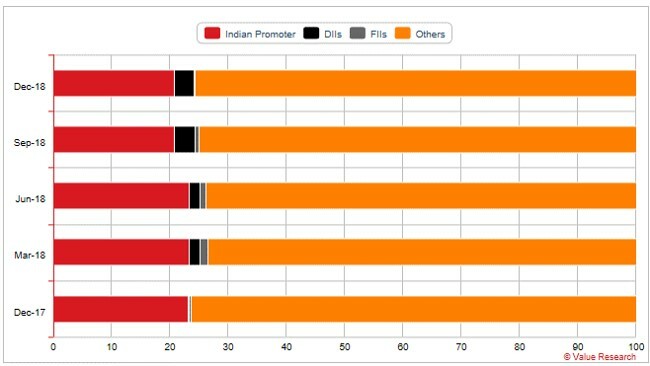 There was no change in promoter holding between FY15 and FY17. Only in the last one year, promoters have increase stake by around 1.5%. 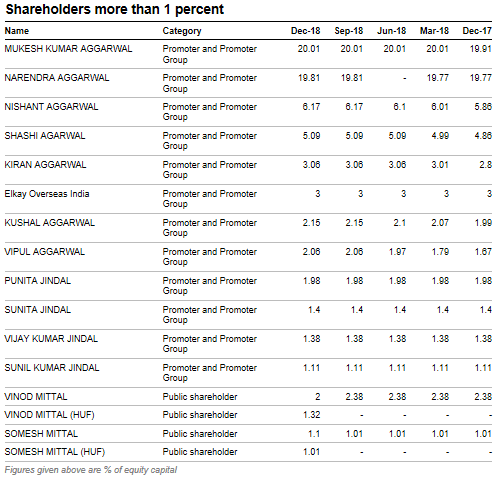 4 entities with surnames Mittal hold around 5.43% stake. They added 2.33% in December quarter. 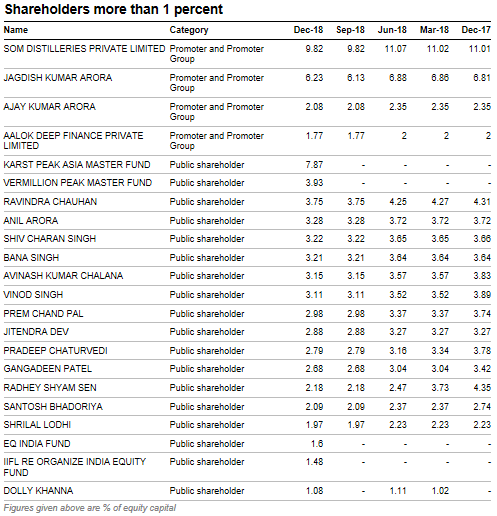 Also, Shivalik Prints is managed by relatives of SPL directors and the company holds (0.52%) stake as of end FY18. Shashi Agarwal is the wife of Mukesh Agarwal. Vijay Jindal is Mukesh’s cousin brother. SPL have taken significant portion of its loans from related parties in past. However the borrowing rates have been reasonable. Credit rating agency CARE also acknowledged the same in its December FY18 credit note. Employee feedback for the group is positive, although the sample size is small, hence reliability could be a question. Shivalik Prints also has a rating of 4.2 based on 4 reviews and the feedback is very good. SPLIL has positive FCF over past 5 years as well as 10 years. SPLIL has D/E of 0.06. Receivable days have fallen to around 2 months. Interest cover is over 4. 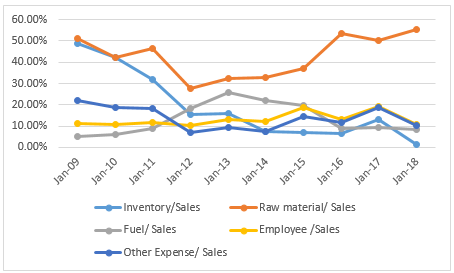 Inventory cost as a percentage of sales had significantly come down from 50% in FY09 to below 2% in FY18. Raw material cost however has been going up. Contingent liabilities are potential cash outflows contingent to a future event. Large contingent liabilities can be risk to future profitability of a company. 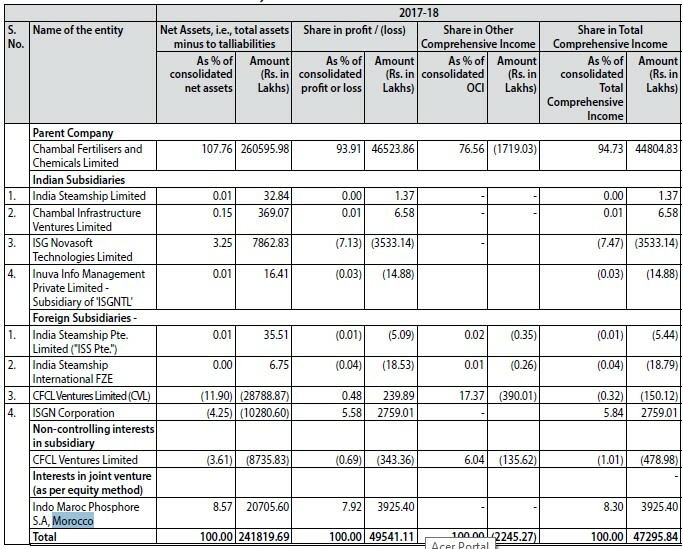 As of end FY18, contingent liabilities are around 6 cr, mostly tax disputes, including appeals which appears to be reasonable. 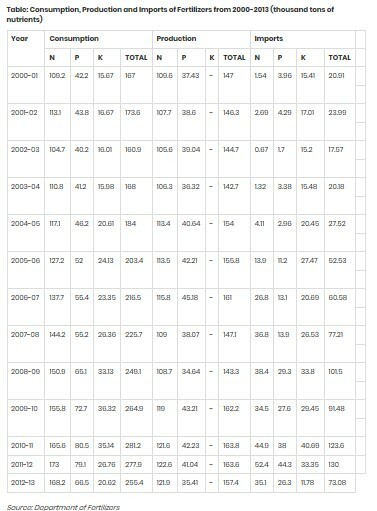 Average tax rates have been around 2% for both past 5 and 10 years. In way of the brought forward losses and unabsorbed depreciation as per the management no tax is payable during the year both under normal provision of the income tax act 1961 & under section 115JB of the income tax act 1961. Companies often invest in unrelated assets such as private entities owned by the promoters which are of no benefit to the company or minority shareholders, but beneficial to promoters. In case of SPLIL, liquid assets are mostly in terms of cash as of FY18 which should be fine. No material negatives in the auditor’s report. SPL Industries does not have any subsidiaries, associates or JVs. SPLIL is available at PER of 5.9, PSR of 1.24, PBV of 3.82, DY of 0%. Company is trading below historical PER of 13.21 and above historical PSR of 0.43. SPLIL did not pay dividends in the past 5 years. Form industry perspective, SPLIL is expensive compared to peers w.r.t to PSR, PBV and DY metrics. PER is lower than average, but that could be more due to its smaller market cap and sudden surge in margins. Valuations for the industry in general is currently subdued. On a relative basis, SPLIL is not cheap compared to its peers. The company is predominantly export oriented with total export accounting for major part of the production in FY18. 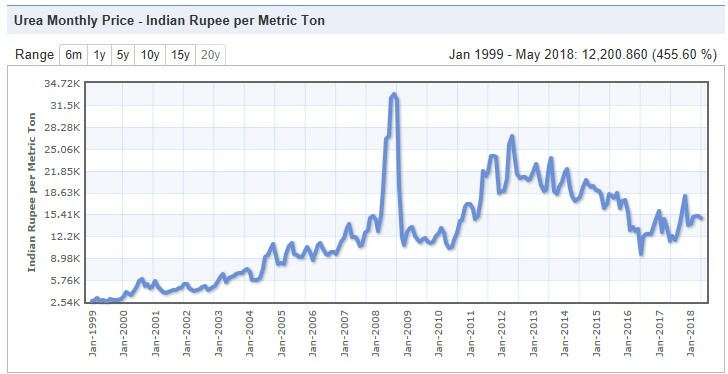 Though, SPL hedges around 60% of its exports receivable through forward contracts still around 40% remains unhedged, exposing it to appreciation in the value of rupee against foreign currency which may impact its cash accruals. During FY18, the company reported an income of Rs. 2.00 cr (PY: Rs. 0.17 cr) from foreign exchange fluctuation. SPL exports its products to various international retail chains and super stores, predominantly in USA, Europe, Canada and Japan. The majority of sales are driven by few clients with top 7 clients constituting over 51% of the total net sales in FY18 indicating high client concentration risk. The top 2 client viz. Shinsegae International and The Children Place “TCP” constituted ~35% of the total net sales in FY18 (~29% in FY17). However, as the company has established strong relationship with its clients over the years; the client concentration risk has been mitigated to a large extent. The readymade garment industry is highly fragmented and is characterized by low entry barriers as it is the least capital intensive part of the textiles value chain. There are more than 8,000 exporters registered with Apparel Export Promotion Council (AEPC). The Indian textiles industry, currently estimated at around US$ 120 billion, is expected to reach US$ 230 billion by 2020. The growth would primarily be driven by the increasing shift of the apparel industry from the developed western nations (traditional exporting destinations) to the other non-traditional markets. Currently, India’s exports are mainly directed to the traditional markets – US and EU and now, with these regions turning into matured markets, the growth in apparel imports is expected to slow down. The Indian textiles industry is currently facing challenges in the form of currency risk, increasing competition from China on unfavourable currency and higher raw material costs. However, India is well poised to gain from long-term growth in the global home textiles market, as it leverages the twin benefits of lower cost of production and significant share of global installed capacity. Abundant raw material availability, a well-integrated textile industry and good designing skills are the key attributes, which if utilized in an efficient way, can help India to consolidate and grow its position in the global apparel market. Free float is 56 crores. Non-promoter / public hold another 8.88% shares, in addition to 68.73% in December, 2018. Stock is fairly illiquid, with the scrip touching circuits when the trade volume for the day was < 32L. 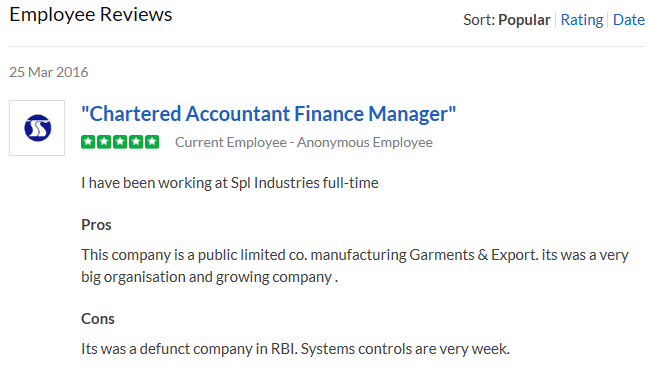 SPLIL used to be a loss making garments manufacturer and exporter that turned around in 2013 when it became part of the group. The group ramped up capacities, increased production and made the company profitable. In 2017 SPLIL discontinued manufacturing and focussed completely into trading. This saw its margin jump to over 17.5%. From a company that was continuously making losses until 2013, transformation to one of the most profitable garment exporters in the industry is a significant achievement. This becomes even more striking considering the fact that company does not manufacture in-house, outsources production to group entity, which at arms-length should ideally led to a margin erosion. Primary clients of SPLIL are chains and superstores located primarily in US and Europe which have significant bargaining power. This is evident from continuous streak of losses until FY13 and low margins even after turnaround until FY18. This makes the sudden spike in margin even more difficult to understand. SPIL’s website hasn’t been updated for years, Annual Reports are sketchy and the management does not hold analyst meets to our knowledge. In view of this, it’s challenging for small investors to understand the nature of efficiencies and levers that led to this significant improvement in profitability. SPIL’s supplier is Shivalik Prints which is a private group entity. Any disruptions in suppliers business will disrupt SPLIL’s operation. However, Shivalik isn’t a subsidiary or a related party by definition, (even though its run by relatives), consequently, not obliged to disclose its numbers and operational details. This kind of setup, where entities directly or indirectly held by relatives are privately operating a similar or related business have often been used as vehicles by promoters to commit fraud, and or manipulate share prices of the listed entity. However, there is no evidence as of now to suggest that SPIL is engaged in any such activities. On the positive side, publicly available data suggest that the the company has decent cash-flows, insignificant leverage, decent liquidity, strong margins and good employee feedback. 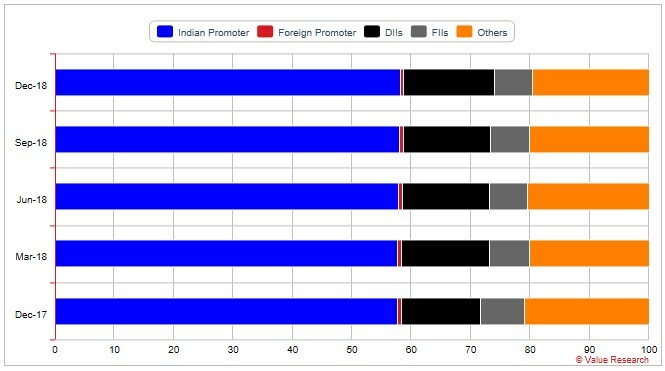 Promoters increasing stake in the past 1 year along with strong price performance in a weak market are added positives. Even with all these positives, investors should perform a careful and thorough research before investing. The stock is extremely illiquid, with price touching circuits on 4 out of past 7 days. In case of any negative developments it will be extremely difficult to find an exit. The post SPL Industries Ltd. – Stock Analysis appeared first on ViniyogIndia.com. By 2050, India will be home to one of the largest populations of retirees in the world, with a massive retirement shortfall of 85B USD est. The post India is staring at a retirement time-bomb, are you prepared? appeared first on ViniyogIndia.com. 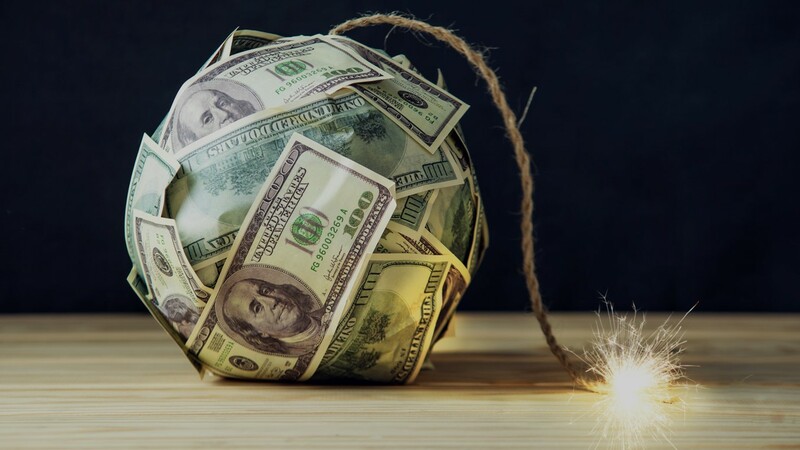 Financial disaster is looming, and not because of the stock market. The World Economic Forum (WEF) predicts that by 2050 the world will face a $400 trillion shortfall in retirement savings. Asset returns will fall and life expectancy will rise. 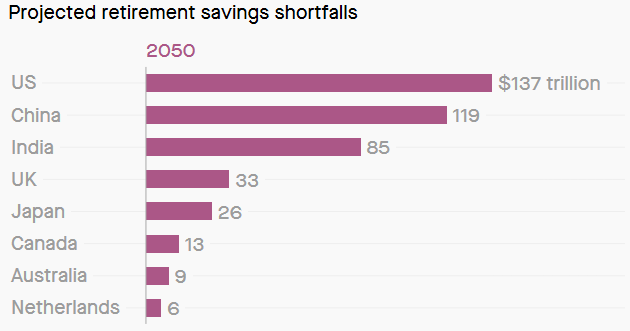 India will have the 3rd biggest hole in retirement savings, falling short by 85B to fund retirement needs in 2050. By 2050, India will be home to one of the largest populations of retirees in the world. However, its savings, as well as support from the government or employer pension plans, won’t be enough to live on. This shortfall in retirement savings, measured in terms of the funds required to cover 70% of pre-retirement income for each person, will increase from $3 trillion in 2015 to $85 trillion in 2050, according to a study by the World Economic Forum. 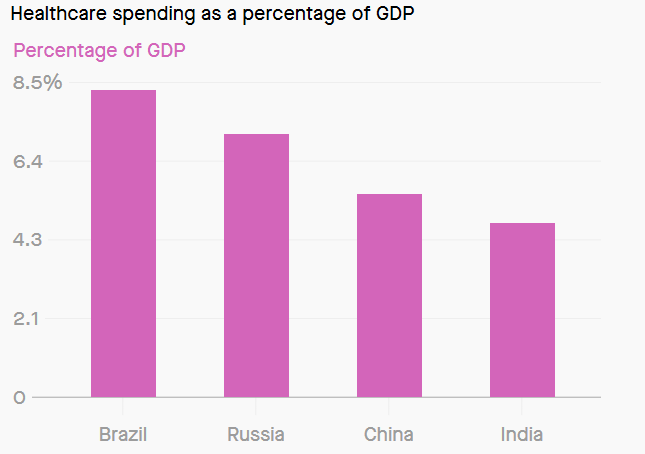 At 10%, the yearly growth of the gap in India’s retirement savings will be the fastest among the eight countries analysed by the WEF, including China, the US, and the UK. It will also be well above the global average of 5%. Reason for this shortfall are primarily twofold. One, a majority of the Indian workforce operates in the informal sector with hardly any access to retirement saving plans. Second, middle class in Asia’s third-largest economy is rapidly expanding. As incomes and the quality of life improve, the quantum of money required for retirees will also go up. While only 25% of Indians have some form of pension cover, the pension system itself is rated one of the worst in the world. India scored 40.3 on the index—lower than its score of 43.5 last year, while Denmark was on top, scoring 81.7. The primary reason for India’s dismal score is decrease in the household savings rate, as savings rate in India, in recent years have “materially reduced”. Moreover, United Nations has revised life expectancies at birth for all countries, and India has seen one of the highest surge. The life expectancy at birth for Indians will increase to 75.9 years by 2050, substantially higher than the current estimate of 69.1 years. This, in turn, has deteriorated India’s score further. In 2010, about 8% of India’s population was 60 years and above, this is estimated to increase to 19% by 2050, according to the United Nations Population Division. Yet, the number of elders covered by pension schemes is dismal. According to Mathew Cherian, chief executive of HelpAge India, a non-profit organisation, India spent 0.032% of our GDP on pensions. In terms of coverage, while India has 25% coverage by its own records, Nepal covers 47% & China 74%. And this isn’t a one off finding. Another recent (2016) study released by French asset management company Natixis Global ranked India last in a global retirement index. Switzerland, Norway, and Iceland topped the ranking, while the US ranked 14th. The ranking includes 43 countries which included IMF’s 34 advanced economies, five OECD nations, and the four BRIC countries. Study is based on factors like material means to live comfortably, access to financial services, access to health services, and a clean environment. “India has the lowest ranks for health expenditure per capita, non-insured health expenditure and life expectancy out of all countries measured in this year’s ranking,” the report said. 50 is the new retirement age, but have we planned for it? If this wasn’t bad enough, there is another hidden factor that the middle class has to worry about. Retirement is just not what it used to be in the 1980s or 1990s, when people could easily retire at the age of 60 with a good pension. Things have changed a lot since then. On one hand, too many people these days speak of getting burnt out because of working 13-14 hours a day and feel that their careers are taxing them mentally, emotionally and physically. On the other, organizations are increasingly letting go of older employees and replacing them with younger people at a lower cost. Most of these older people find it difficult to find equivalent roles, and they don’t have a plan B. Despite this environment, very few individuals actually have a formal financial plan in place for retirement. The problem is further compounded by growing aspirations and lifestyles. With couples having children late, they are getting into old age with huge financial responsibilities. Indian Government is trying to take baby steps to address the issue. The Narendra Modi government has sought to improve the situation through schemes like the Atal Pension Yojana. Launched in May-2018, scheme aims to bring 400 million+ Indians working in the unorganised sector under the pension umbrella. For the middle class, it’s important to recognize the need of proper financial planning and take concrete steps before it’s too late. So do You have any retirement concerns? Or are you struggling to figure out what to do with retirement savings? . Whatever your concerns are, comment below and let us know! Have you estimated your retirement needs? Estimate your retirement corpus in 5 seconds by using this simple calculator. How does a financial / retirement plan look like? Here is an example. The post India is staring at a retirement time-bomb, are you prepared? appeared first on ViniyogIndia.com. Stovec Industries is a leading player in domestic textile printing & graphic print market. Article provides an analysis of SIL's business. The post Stovec Industries Ltd – Stock Analysis appeared first on ViniyogIndia.com. Stovec Industries Limited (SIL) was incorporated on June 5, 1973 as Stovec Screens India Limited. Stovec is a part of SPGPrints Group, The Netherlands. Company is mainly into printing machinery and consumable. SIL offers products such as Rotary printing machines, Rotary screens and chemicals for textile printing, Anilox and screens for graphic printing, Digital ink and Sugar screens. Manufacturing facilities of the company located at N.I.D.C., Near Lambha Village, Post Narol, Ahmedabad, Gujarat. SPGPrints, Netherlands owns 71% of Stovec Industries, India. In 2017, Textile segment contributed to 84% of sales, while graphics & galvanic products contributed 5% & 11% respectively. Both Textile consumables & machinery, as well as the graphic segment have been growing at around 19% CAGR over past 8 years or so. 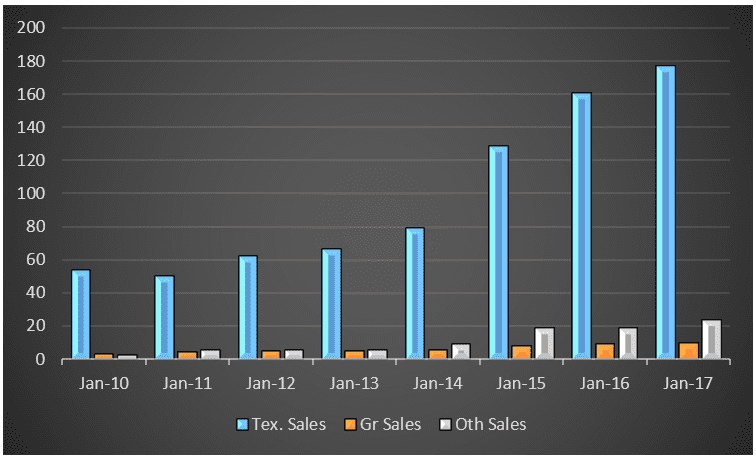 Historical sales by segment, source Stovec Annual Reports. Stovec has strong after-sales services network across India. The company has service engineers located in major textile hubs in Ahmedabad, Surat, Mumbai, Tirupur and New Delhi. In 2013, MD in an interview given to Business Standard had revealed that company had a capacity of 30 high end machines & 1,30,000 screens per annum, with 30-35% market-share. Past 5 years capex, source Stovec Annual Reports. Company has been consistently investing in textile segment for the past 5 years, and our assessment is that Stovec may now have an existing capacity of around 50 machines & around 2,00,000 screens per annum, with estimated 40-50% market share in the high & mid textile machinery segment. In 2014, Stovec invested around 11+ crores in the sugar screen segment. Major part of this money was used to acquire 100% stake in Atul Sugar Screens Pvt Ltd from Atul Electro Formers Ltd. Subsequently, SIL sold 100% of Atul Sugar along with parts of its own sugar screen business to fellow subsidiary Veco B.V. This transaction has been perplexing to an extent because, Atul Sugar was a loss making company when SIL had purchased it for 8+ crores. Since taking over, losses of the company decreased & eventually the subsidiary became profitable in 2018, when it was then sold out. SIL however continues to do some contract manufacturing in the galvanic segment. Stovec’s products cater to high & medium segment of the textile machinery market. While India made rotary printing machine sell anywhere between Rs 10-30 lakh, Stovec’s machines are being sold in range of Rs 1.5-2.5 Cr. Nickel is a key raw material, comprising 30% of the cost & is imported. SIL maintains 6m forward contracts for currency but does not hedge commodity. Any sharp spike in price of Nickel therefore has an impact on margins. Rotary printing continues to remain the main printing process of textiles. But recent years have witnessed digital printing gaining ground. Although digital printing is still comparably small with less than two per cent market share. 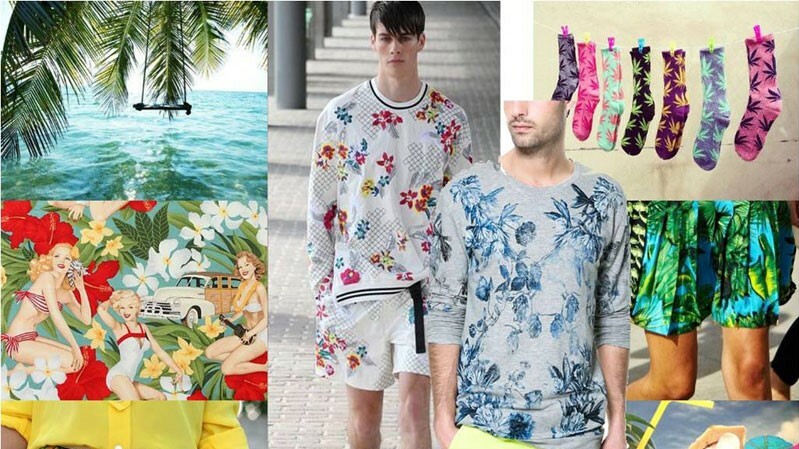 The world output of digitally printed textiles is growing at an annual rate of 25 per cent. From a demand perspective, apparels account for 54% of global textile printing market, interior textiles 34%, while industrial textile accounts for 8%. Broadly, there are 3 types of printing technologies for textiles: Flatbed, digital & Rotary screen. For run-lengths less than 1000 m, flatbed or digital printing may be economical. Digital printing is also relevant for very high quality & photo images. However, if run length is more and consistent quality is required than rotary screens are most economical. Textile industry was worth 108B, growing at 11% and projected to reach 223B USD by 2021. Textile accounts for 14% of industrial production, 12% exports, 27% forex earnings & 44M employment. India as one of the largest exporters of readymade garments to the world and the second most preferred sourcing destination for major global retailers. The organized apparel segment is expected to grow at a Compounded Annual Growth Rate (CAGR) of above 13 %. Over the past few years, textile industry has witnessed spur in capital investment for technological up-gradation and product and quality enhancement. However in the second half of 2017, Investment in Textile Industry has somewhat slowed-down post tax reforms of government leading to less capital investment. The domestic textile industry was one of the most impacted sector by Goods & Service Tax (GST) as large number of players are unorganized. The textile printing market was estimated at 51m sqm in 2014, consumes 500-600 mmt of Ink and is worth around 250M USD as on 2014. Ink market in India is dominated by 3 players, who between themselves control 85% of the market share: Jaysynth (40%), Huntsman (35%) and SPGPrints (10%). Further, Stovec is invested in Jaysynth & holds 2% of the equity. SIL products caters primarily to domestic market. As on 2017, export contribution was around 8% of total sales. SIL is world leader in Rotary screen printing for textile industry & precision metal products. They are second in digital printing and rotary screen printing technology for the graphic industry and have a place amongst the top 3 in flexographic laser engravers. Premier Spinning and Weaving Mills, Coimbatore, Alok Industries Ltd., Mumbai, Jay Jay Mills, Tirupur, Shivalik Prints, Delhi, Creative, Delhi, Akash Fashions, Ahmedabad, Chiripal, Ahmedabad, Bombay Rayon Fashions Ltd., Mumbai, Sri Krishna Spg. & Wvg. Mills, Bangalore, Ramkumar Mills, Bangalore, Binayak Tex Processors, Mumbai, Pradip Overseas, Ahmedabad, Raghuvir, Ahmedabad, and Printex, Tirupur. Out of this list, publicly traded companies include Alok Industries, Chiripal (Nandan Denim? 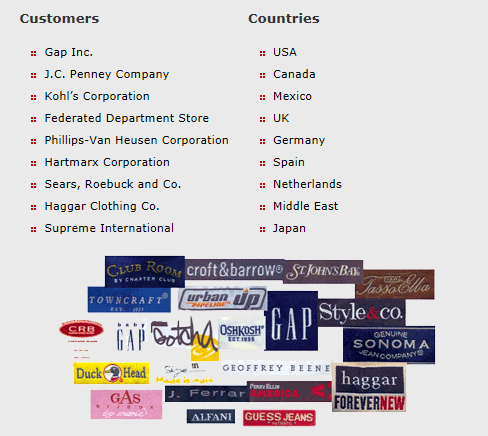 ), Bombay Rayon Fashions, Binayaka Tex Processors, etc. 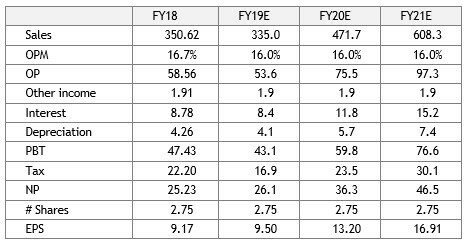 Of these, only Nandan Denim had held a quarterly call in FY19, although that was in Aug 2018. At that point, NDL was operating at an sub-optimal utilization levels of 65-70% at par with industry averages due to GST & demonetization related disruptions which wer still hurting the last mile. Management also indicated existence of some overcapacity in the industry stemming from recent government incentivized capex. Long term growth rates has been 18%. While growth has been higher over the past 3-5 years, it’s recently taken a dip post GST & demonetization which has impacted the entire textile industry. FY17 RoE is 23%+ and it has mostly stayed over 20% in past 10 years. OCF has been positive each of past 10 years, with FCF –ve only once in FY14 when SIL went for an acquisition. Dividend Yield is 1.4% and has been around 1%+ for past 5 years. Company is debt free & has not resorted to any equity dilution in the past 10 years. Growth has been entirely funded through internal accruals. Note. SIL has Jan – Dec financial year. FY19 projections are an estimated 7.5% growth in top-line YoY and 28% decline in bottom-line. 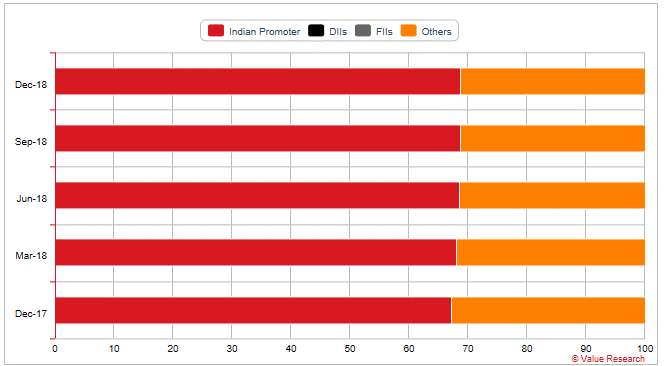 Promoters SPGPrints B. V hold 71.06%, rest is held by general public. There is no change in promoter holding in recent times. Earlier, SPGPrints had increased their shareholding from 51% to 71%. Atul Sugar Screens has been fully divested in CY2018 to fellow subsidiary Veco B.V. There was no materially significant related party transactions in FY17 (AR P-27). 1. Nickel constitute 30% of raw material expense for SIL. SIL does not hedge commodity transactions, as such, volatility in nickel may impact the Company’s performance. In past, specifically in FY08 & FY11, spike in price of Nickel had impacted costs, reducing OPM to single digit levels from 15%+ 10Y average. 2. In FY17, SIL’s net imports comprised 25% of turnover. Imports comprise raw materials primarily, along with capital goods, spares, etc. The fluctuations in exchange rate can impact SIL’s performance. 4. 85% of SIL’s business comes from textile sector with two thirds of earnings in consumables. Fortunes of the company are closely tied to the health of domestic textile sector. With domestic textile sector growing at around 12% roughly tracing the nominal growth rate of the economy, 20%+ growth on a sustained basis could be a challenge in absence of external catalysts. SIL’s past 3 & 5 year growth rates have been higher than long term growth rate of 18% – this is largely due to government incentives (such as TUF) which led to capital spending in recent past. Similarly SIL witnessed sales de-growth consistently for 4Q since GST was announced as textile industry was one of the most impacted. 5. SIL is a niche player in the textile market. The medium to high end textile machinery segment has an estimated capacity of around 150 machines per year locally, with SIL accounting for around 45-50% market share. Opportunity to scale up may be limited. Disclosure: Author is SEBI registered investment advisor. This article should not be considered recommendation to Buy or Sell stocks or as a financial advice. Please read full disclaimer. The post Stovec Industries Ltd – Stock Analysis appeared first on ViniyogIndia.com. 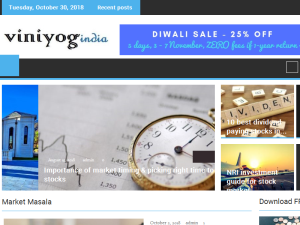 If you are the owner of Viniyog India - Investment Advisory, or someone who enjoys this blog why not upgrade it to a Featured Listing or Permanent Listing?